Why Did it Take So Long for DEA Chief Leonhart to be Forced to Resign? The Drug Enforcement Administration’s top official, Michele Leonhart, resigned this week, presumably after it came out that many of her agents partied with prostitutes hired by drug cartels. But there is really much more to the story. • In 2002, the inspector general (IG) of the Justice Department sounded an alarm about weapons losses at the DEA. Six years later, the IG discovered that the rate of those losses had more than doubled. • In April 2012, drug suspect Daniel Chong was arrested by DEA agents who locked him in a jail cell without food, water or a toilet and forgot about him for nearly five days. Other agents heard his cries for help but ignored him. By the time Chong was released, his health was so bad he had to be taken to a hospital. • In May 2012, the DEA worked on a drug sting in Honduras in which four people, including two women and a child, were shot dead. Witnesses said that all four were innocent. • In June 2013, a DEA informant who had received nearly $4 million from the agency was fired for repeatedly committing perjury—but was then rehired later to work on DEA undercover cases. • In August 2013, it was revealed that the DEA had been giving information from massive surveillance, wiretaps, and undercover agents to local police, who were told by the DEA to conceal the source of the information from defense lawyers, prosecutors and judges. At the time of an undated slideshow, the DEA had deployed at least 100 license plate readers across the United States (eight states are identified: California, Arizona, New Mexico, Texas, Florida, Georgia, and New Jersey). A 2010 document also explains that the DEA had by then set up 41 plate reader monitoring stations throughout Texas, New Mexico, and California. One DEA document references steps needed to ensure the program meets its goals, “of which asset forfeiture is primary.” Asset forfeiture has been in the news a lot lately, criticized as a widely abused law enforcement tactic that doesn’t advance public safety but simply enriches police and federal agencies. The program also apparently data mines license plate reader data “to identify travel patterns.” The extent of this data mining is unknown. Is the DEA running all of our license plate reads through a program to predict our likelihood of committing a crime? Are we all suspects if we drive on a certain road? What else does the DEA think it knows about us just from the collection and analysis of our locations via license plate reader data? Early last year, the news surfaced that the DEA was bypassing Oregon state law by using administrative subpoenas to get around the state’s warrant requirement for drug prescription database access. “Administrative subpoenas” are yet another government tool that allows agencies to seek information that would normally require a warrant, but without the hassle of running it past a judge or even showing probable cause. The DEA probably didn’t expect to encounter much resistance to its subpoenas. After all, drugs are bad and the DEA is fighting the good fight. But the state of Oregon wasn’t impressed with the DEA’s warrantless tactics and filed suit with the assistance of the ACLU. The ACLU is now reporting that a federal judge has ruled in its (and Oregon’s favor) and the DEA (along with other law enforcement entities) will no longer be able to skirt the state’s warrant requirement. The judge’s decision also notes that stripping away this expectation of privacy will have a chilling effect on those seeking medical care, something that could have very adverse effects on the health of people who might avoid seeking treatment because they fear their medical records will be exposed. As the ACLU notes in its press release, it’s not exactly happy the state of Oregon has chosen to create a centralized database of drug prescriptions, but, if it is going to do so, it has at least chosen to take the privacy of those contained in the database very seriously. This decision strikes a small blow against the government’s routine abuse of “exceptions” to warrant requirements as well as against its even more routine abuse of the “third party doctrine,” which the DEA actually used to claim that talking to a doctor is no different than dialing a phone. The DEA knows there’s a huge difference between these two “third parties” but applying that knowledge means showing probable cause and getting a judge to sign off on the warrant, two aspects it apparently feels only hampers its War on Drugs. Prosecutions and incarceration rates are humming, probably the only part of the drug war one could call “working” (if only they were bringing down abuse rates, keeping bad guys off the streets, or improving society, which they’re not). According to the Drug Policy Alliance, there were 1.5 million people in US arrested on non-violent drug charges in 2012. Of them, 749,825 were related to marijuana, and of that number, 658,231 were for possession only. Pot smokers are costing the system alright, but think of all the money they are paying into it, by way of court fees and fines, bail bondsman bondsmen and attorneys to defend them. Quite a tidy business. Not surprisingly, those pot offenders unlucky enough go to jail (and we know they are disproportionately black), make up more than 10 percent of the state and federal incarcerated population today. In fact, one could say their absence would have a somewhat of radical effect. In his recent speech on surveillance, President Obama treated the misuse of intelligence gathering as a relic of American history. It was something done in the bad old days of J. Edgar Hoover, and never countenanced by recent administrations. But the accumulation of menacing stories—from fusion centers to “joint terrorism task forces” to a New York “demographics unit” targeting Muslims—is impossible to ignore. The American Civil Liberties Union has now collected instances of police surveillance and obstruction of First Amendment‐protected activity in over half the states. From Alaska (where military intelligence spied on an anti-war group) to Florida (where Quakers and anti-globalization activists were put on watchlists), protesters have been considered threats, rather than citizens exercising core constitutional rights. Political dissent is a routine target for surveillance by the FBI. Admittedly, I am unaware of the NSA itself engaging in politically driven spying on American citizens. Charles Krauthammer says there has not been a “single case” of abuse. But the NSA is only one part of the larger story of intelligence gathering in the US, which involves over 1,000 agencies and nearly 2,000 private companies. Moreover, we have little idea of exactly how information and requests flow between agencies. Consider the Orwellian practice of “parallel construction.” Reuters has reported that the NSA gave “tips” to the Special Operations Division (SOD) of the Drug Enforcement Administration, which also shared them with the Internal Revenue Service. The legal status of such information sharing is murky at best: the national security data is not supposed to be used for law enforcement purposes. Apparently the SOD sidestepped these niceties by re-creating criminal investigations from scratch, fabricating alternative grounds for suspecting the targets. Thus the “parallel construction” of two realities for the law enforcers: one actual, secret record of how targets were selected, and another specially crafted for consumption by courts. Two senior Drug Enforcement Administration officials defended the program and called it legal, but did not disclose their reasoning. At present, the practice looks like little more than intelligence laundering. Five senators asked the Department of Justice to assess the legality of “parallel construction;” it has yet to respond. I have little doubt that the DEA used parallel construction in cases involving some pretty nasty characters. It must be tempting to apply “war on terror” tactics to the “war on drugs.” Nevertheless, there are serious legal and ethical concerns here. One of the American revolutionaries’ chief complaints against the British Crown was the indiscriminate use of “general warrants,” which allowed authorities to search the homes of anyone without particularized suspicion they had committed a crime. Thus the 4th Amendment to the US Constitution decrees that “no Warrants shall issue, but upon probable cause.” Law enforcers aren’t supposed to set up “dragnet surveillance” of every communication, or use whatever data stores are compiled by the National Security Agency, unless there is a true security threat. Between 1956 and 1971, the FBI’s COINTELPRO program engaged in domestic covert action designed to disrupt groups engaged in the civil rights, antiwar, and communist movements. As Lawrence Rosenthal has observed, “History reflects a serious risk of abuse in investigations based on the protected speech of the targets,” and politicians at the time responded. Reviewing intelligence agency abuses from that time period, the Church Committee issued a series of damning reports in 1975-76, leading to some basic reforms. If a new Church Committee were convened, it would have to cover much of the same ground. Moreover, it would need to put in place real safeguards against politicized (or laundered) domestic intelligence gathering. Those are presently lacking. I have yet to find a case where the parties involved in any of the intelligence politicization (or laundering) were seriously punished. Nor have I seen evidence that the victims of such incidents have received just compensation for the unwarranted intrusion on their affairs. Before we can develop better surveillance policy, we need something like a Truth and Reconciliation Commission to review (and rebuke) the politicization of intelligence gathering post-9/11. Too many privacy activists have been unwilling to admit the persistence of catastrophic threats that may only be detected by spies. But the US government has been even less moored to reality, unwilling to admit that a runaway surveillance state has engaged in precisely the types of activities that the Bill of Rights is designed to prevent. To have a debate about the proper balance between liberty and security, we need to confront the many cases where misguided intelligence personnel spied on activists with neither goal in mind. Frank Pasquale is Professor of Law at the University of Maryland. His research agenda focuses on challenges posed to information law by rapidly changing technology, particularly in the health care, internet, and finance industries. Frank accepts comments via email, at pasqresearch@gmail.com. When Will the Government Officially Correct the False Claims It Made to the Supreme Court About NSA Surveillance? ACLU deputy legal director Jameel Jaffer has also called on the Solicitor General to file a formal acknowledgement with the Court that the government’s policy was misrepresented to the justices during arguments. As Jaffer explains, there is ample precedent for the government to do so in situations similar to this. The culture of misinformation around the NSA has to stop. EFF also calls on the Solicitor General to formally acknowledge to the Court its misrepresentations and promptly tell every defendant that was subject to NSA surveillance so they can challenge the unconstitutional laws behind it. NEW YORK – The U.S. Drug Enforcement Administration is using secret surveillance tactics – including wiretaps and examining telephone records – to make arrests while concealing the source of the evidence from judges, prosecutors, and defense attorneys, according to a story published today by Reuters. In cases where this intelligence is used to make an arrest, the DEA trains law enforcement to recreate the investigative trail in order to conceal the origins of the evidence. CEPR has released a new paper, along with the human rights organization Rights Action, examining the Honduran Public Ministry’s official report on the May 11, 2012 shooting incident last year in which four local villagers were killed in Ahuas in Honduras’ Moskitia region during a counternarcotics operation involving U.S. and Honduran agents. This is also the first time that the Public Ministry’s report has been made available to the public, posted to Scribd in English here, and Spanish here. The Honduran Public Ministry’s report deserves special scrutiny because thus far it represents the official version of events according to the Honduran authorities. And since the U.S. government has declined to conduct its own investigation – despite the wishes of 58 members of Congress – it also represents by default the version of events tacitly endorsed by U.S. authorities as well. The DEA and State Department didn’t allow Honduran investigators to question the U.S. agents and contractors that participated in the May 11 operation. At the same time a U.S. police detective working for the U.S. Embassy reportedly participated in the Public Ministry’s investigation, so the U.S. also bears some responsibility for the report’s flaws. The CEPR/Rights Action report represents the first such public critique of the Public Ministry’s report. As we have previously noted, there are significant discrepancies between different accounts of the May 11 events, including those of Honduran police officers who participated in (and say the DEA was in charge of) the operation. These discrepancies – cited in a separate report published by the Honduras National Commission of Human Rights (CONADEH) – are not mentioned in the Public Ministry report. Nor does the report include police testimony indicating that a DEA agent ordered one of the State Department helicopters to open fire on the passenger boat in which four people were killed. The report concludes by calling for the U.S. government to carry out its own investigation of the Ahuas incident to better determine what occurred and to determine what responsibility, if any, DEA agents had in the killings. It also calls on the U.S. government to cease being an obstacle to an already flawed investigation by making the relevant DEA agents, weapons and documents – including an aerial surveillance video of the Ahuas operation in its entirety – available to investigators. The new CEPR/Rights Action paper follows the “Collateral Damage of a Drug War” report released last year which was based on eyewitness testimony and other evidence the authors obtained in Honduras and concluded that the DEA played a central role in the shooting incident. Democrats on Capitol Hill want the Obama administration to investigate the deaths of four civilians in Honduras last year during an anti-cocaine raid involving U.S. law enforcement agents. But administration officials have balked at the request. 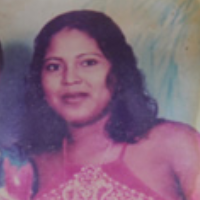 On May 11, 2012, four villagers in a boat on the River Patuca, two pregnant women, a 21-year-old man and a 14-year-old boy, were killed when local police entered the town of Ahuas in northeastern Honduras to conduct a counternarcotics operation. Another four boat passengers were injured by gunfire. It was later learned that members of the U.S. Drug Enforcement Administration (DEA) participated in the raid, which raised questions of whether Americans were responsible for the killings. The Honduran government investigated the incident and concluded the DEA was not at fault for the deaths. But 58 House Democrats were not satisfied with the probe, which they called “deeply flawed” in a letter to Secretary of State John Kerry and Attorney General Eric Holder Jr. calling for the U.S. to conduct its own examination. Officials with the State Department and the Department of Justice said their agencies have no intention of reopening the matter, according to The Washington Times.